On My Ballot? Zen Palate! Are you a Vegetarian? Friends with one of those slippery veggie fiends? 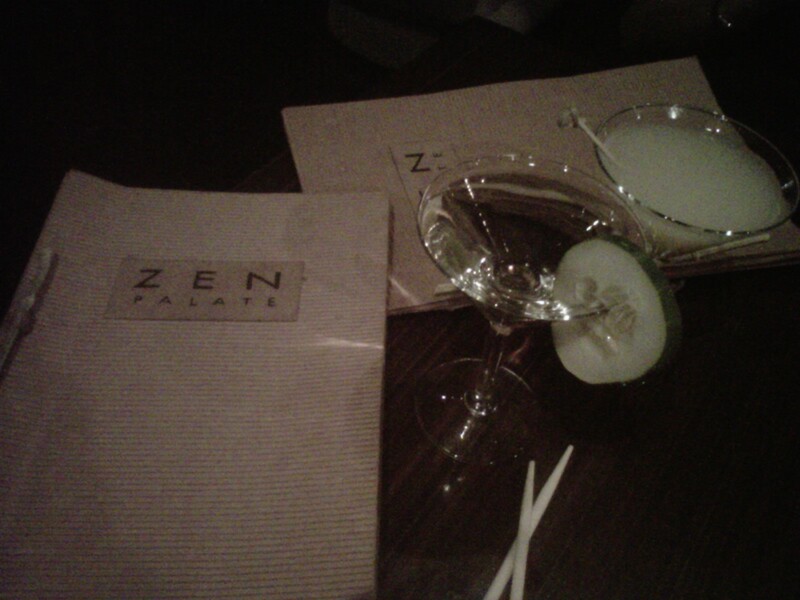 Either way, you’ll be glad you went to Zen Palate. Their new Union Square location (18th btwn Park/Irving) is the perfect mix of trendy and romantic with dark wood/bamboo interior and plush velvet accents. The martinis are delicious; I opted for the sake-tini while the lovely Megan M. went for the lychee-tini – and the pre fixe options (which include brown rice and 2 spring rolls) are incredibly reasonable at around $10 each. There’s an option for everyone from the sweet and sour tofu medallions (a personal fave) to the more adventurous seitan dishes. Vegetarians and the guys hoping to get in their pants vegetarian sympathizers alike will enjoy this new Union Sq hot spot! Tip: Get a restaurant.com coupon to take $25 off any meal of $35+!